It’s traditional and appreciated for dad and the little ones to come through with flowers, homemade cards, and/or chocolates (like these fair trade bars from our Global Kids Gift Guide) for Mother’s Day. While these are all wonderful, how about adding one or more of these fun, thoughtful do-it-yourself ways to show you care? 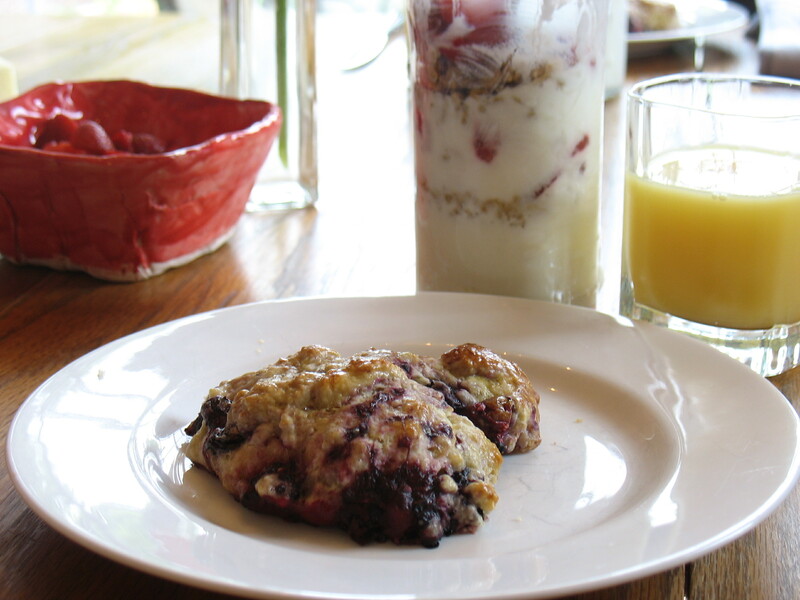 Whether or not treating mama to breakfast is a tradition in your family already, these treats make for a healthy, beautiful, fun-to-assemble start to the morning. These are probably better than making her dandelion soup, but if she’s more of an experimentalist, go for it! If looking for another lovely touch, try heart-shaped watermelon slices we shared in this post. Send her off w/o her wheels for some mama-care time. Then grab the cleaning supplies and vacuum and get busy with the kids. If mama doesn’t have wheels, then think of an area of the home that she’d love to see cleaned up and make it shine. 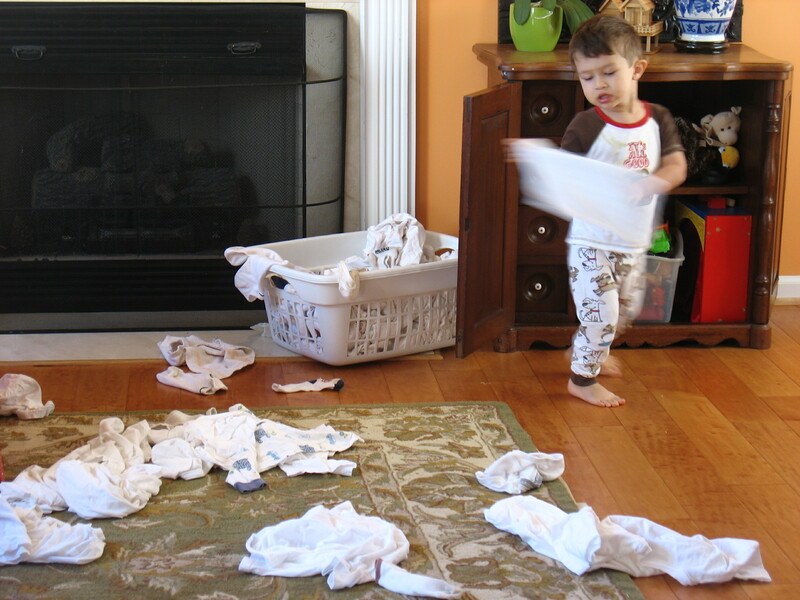 It could be as simple as having the kids clear the clutter off their dressers and dust. Start with the nice clean car: use washable markers to leave her a message with hearts on the car window (tastefully done and not to obstruct her view of course). Then move on to post-it love notes and pictures in fun places: her shoes, her purse, the fridge, under her mug, etc. Unless you already have this service performed regularly by someone other than mama (dada and kids, a helper, or maybe a house elf), this will be a huge treat for her. And not just for Mother’s Day! One of the easiest and most mindful ways to show your love is to wrap all arms around mama and say how much she means to you. Dad can model this and the kids can follow. It’ll leave everyone smiling ’cause the song says it best: Love is like a magic penny, Hold it tight and you won’t have any, Lend it, Spend it, Give it away and it will come right back to you! What a great way to help mama recharge her batteries. My wife wanted me to add that one of her favorite (early) Mother’s Day gifts this year, is this beautiful origami flower that our middle tender sapling presented her the other day. What a treasure! 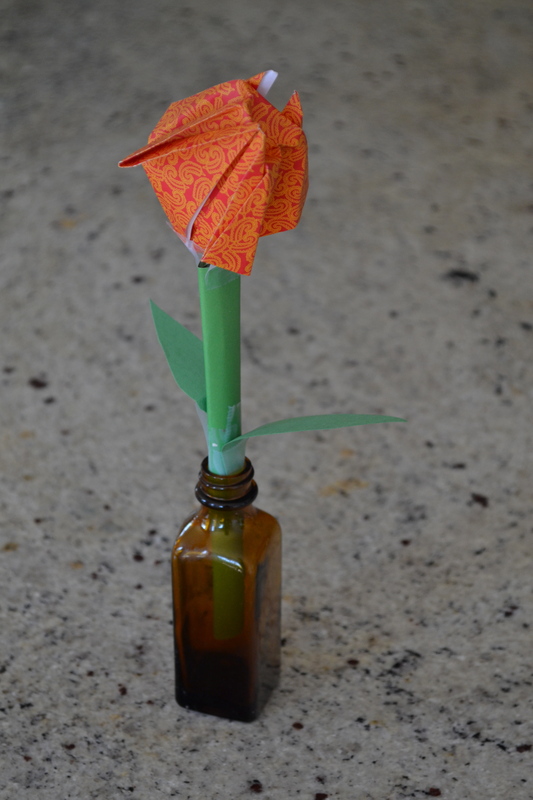 Origami tulip – created by little hands with love! Again, these ideas are all ways husbands and children can shower mama regularly with our love and appreciation. ‘Cause mama-gardeners love TLC from their brood of tender saplings and mates anytime. And nurturing the nurturer helps her do her vital work of parenting. So sprinkle in some mindful surprises often! Cute ideas! Love the notion that gifts don’t have to be store bought. And what a beautiful origami flower!